December 5, 2018 – Gov. 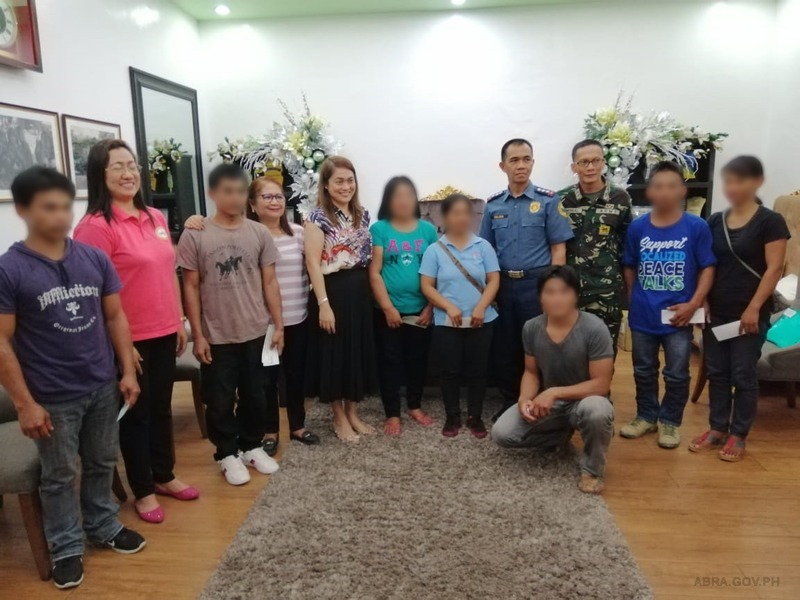 Joy Bernos with the Department of Interior and Local Government (DILG)-Abra Provincial Director Millicent Cariño, 24IB Battalion Commander Jearie Boy Faminial, Abra PPO Provincial Director Wilson D. Soliba, and Sallapadan Mayor Nenita Cardenas handed over cash assistance, livelihood assistance, immediate assistance, and firearms remuneration to seven former rebels at the Provincial Capitol. For firearms remuneration, two former rebels received P90,000 each and another received P100,000. The amount of firearms remuneration is based on the price of the firearm surrendered.The other four former rebels were awarded P65,000 each—P50,000 for livelihood assistance plus P15,000 for immediate assistance. Aside from the cash assistance and firearms remuneration, the former rebels can also avail of the Philippine Health Insurance Corporation (PhilHealth) benefits and enroll at Technical Education and Skills Development Authority (TESDA) with the assistance of the Department of Social Welfare and Development Office (DSWD). PD Cariño also urged the former rebels to encourage their relatives and friends who are still in the armed militant group to surrender.